Most of us work long hours, that’s certainly true for Sarah and I, plus we travel incessantly, so when we want some down time a spa break is high on our agenda. 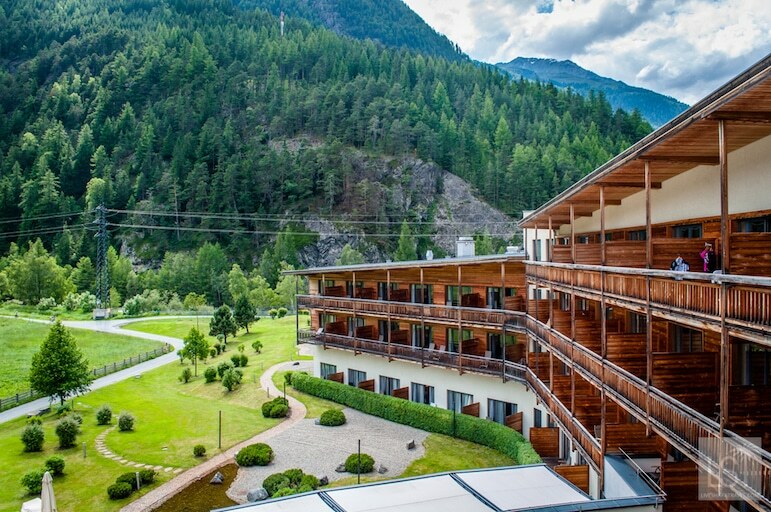 In the Ötztal Valley set amid the Tirolean Alps, is the small Austrian town of Längenfeld, home to the rather lovely 4-star superior Aqua Dome Hotel, with its fabulous thermal spa. We visited in the summer when the divine alpine landscape of mountains and meadows were in full bloom. 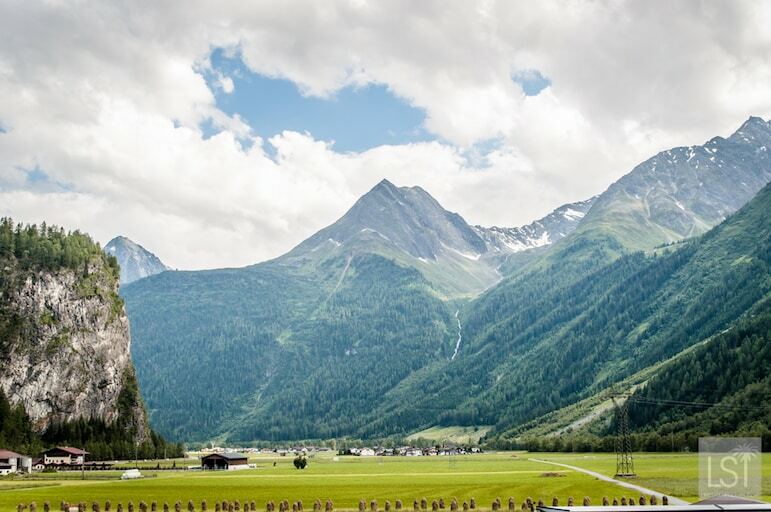 Lush green pastures swept away before us towards the foot of the alpine goliaths that rose majestically upwards to kiss a blue sky dotted with fluffy white clouds. 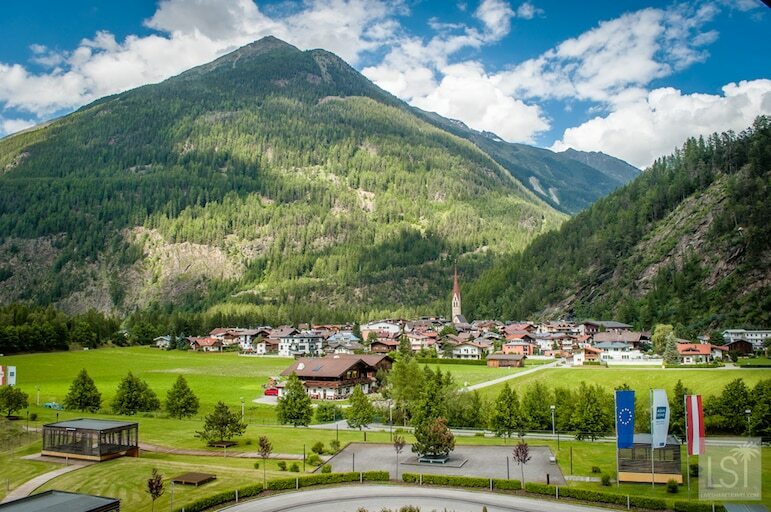 Arriving at the nearby train station of Ötztal from Innsbruck, a sense of peace and harmony fell upon us our taxi wound its way past soaring peaks to the Aqua Dome Hotel. The wide, open reception area ensured a sense of space and the ease of the check-in kick started our transition from frantic travellers to serene spa-goers. 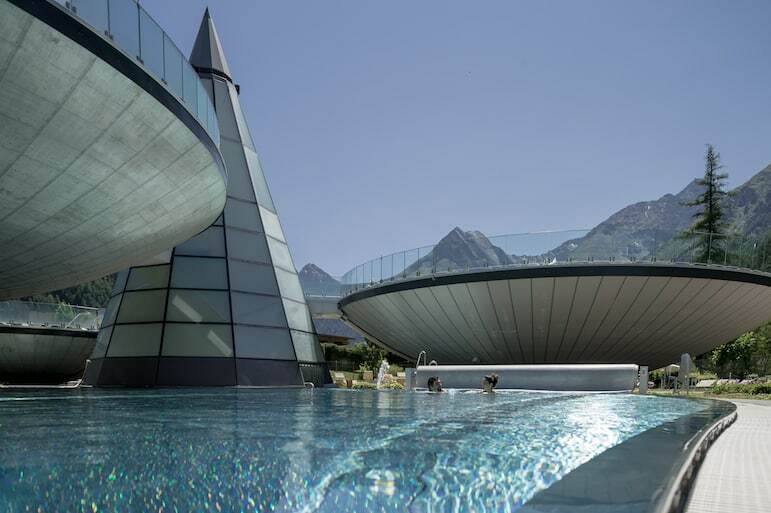 After opening in 2004 the hotel was extended in 2012, and with more than 50,000 square metres of spa, the facilities at the Aqua Dome are so extensive it’s difficult to know where to start. One thing for sure is if you like watery relaxation, you will be spoilt for choice. We decided to plunge straight in and experience as much as we could in the few days we were there. 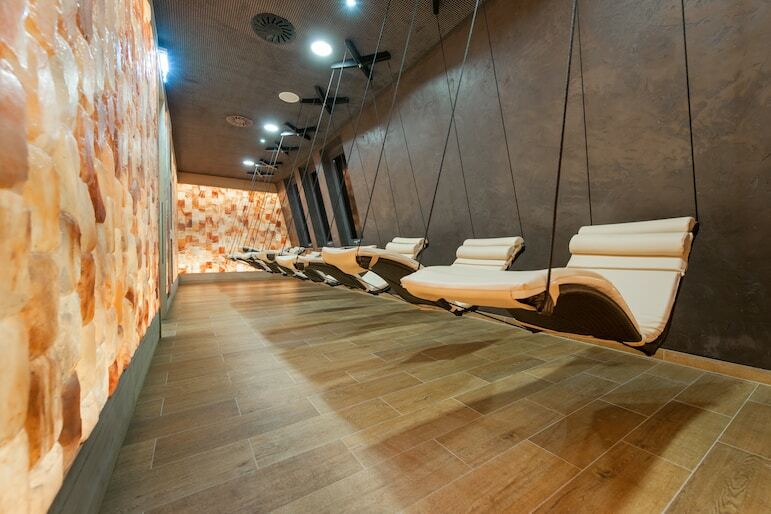 Part of the spa is also open to the public, while the rest is solely for hotel guests. In the thermal spa we tried the two indoor pools and two of the three outdoor bowl-shaped pools that hovered in the air over other swimmers. There was something quite magical about being in the heated bowl-shaped pools late at night and gazing up at the stars above the dark, towering mountains surrounding us. 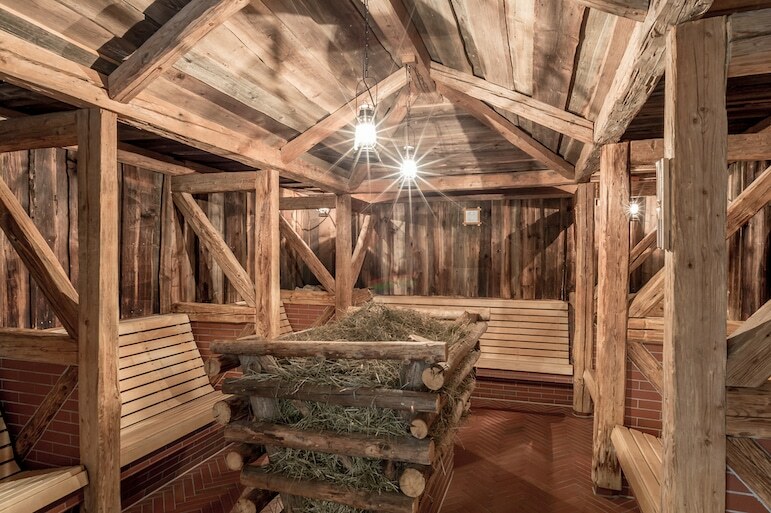 I think we tried every sauna and steam room in the Saunaworld, and there are a lot of them. 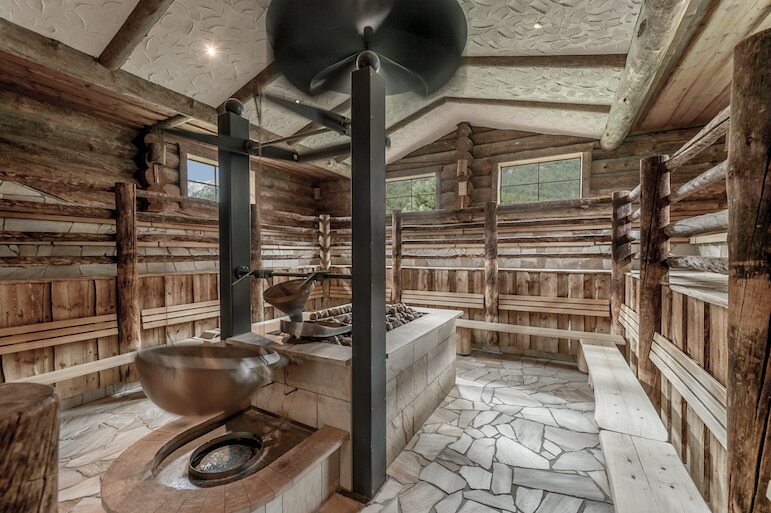 We dipped in and out of the barn sauna, loft sauna, earth sauna, steam dome, steam bath, brine steam bath, herb bath, brine grotto, ice grotto, whirlpool, swimming pool, panoramic whirlpool and shower world. The choice was so vast, that there was always something else to try. The hotel also has the SPA 3000 area, which is solely for hotel guests. 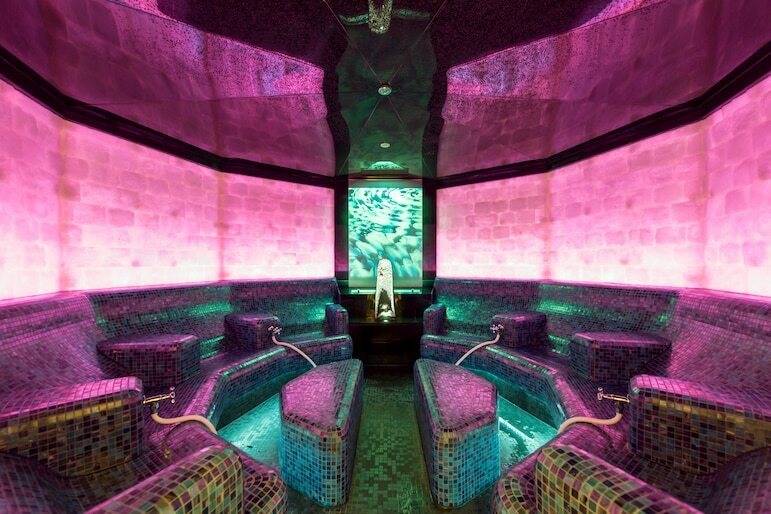 SPA 3000 covers two floors and again has an array of even more saunas, steam rooms, pools and treatments on offer. 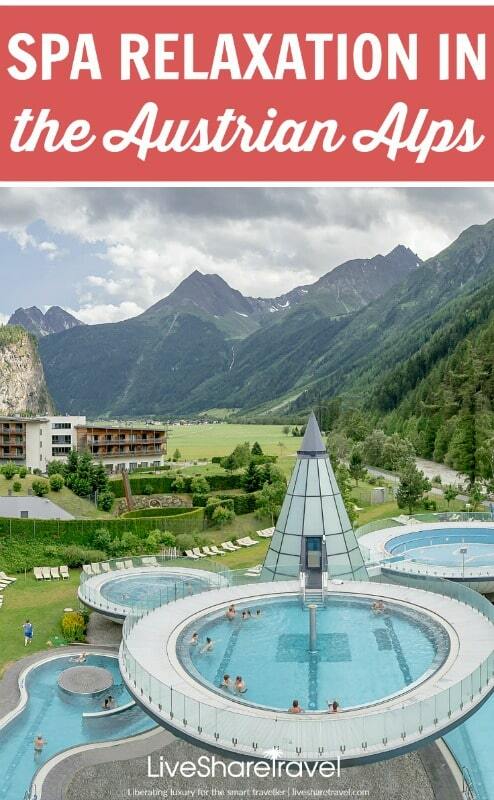 As is usual in Austria, be aware that part of the spa area will be a mixture of female and male, and totally nudist. The Austrians are very clear that it is unhygienic to wear swimwear in the sauna and steam rooms so you will be given a towel but everyone in there will be naked. The Aqua Dome Hotel also has an extensive first-rate gym and workout studios with a host of classes, but as our focus was on relaxation – or as some may say, just being lazy – we didn’t use it. The Aqua Dome Hotel is a year-round resort and great for families, couples or even a romantic break. 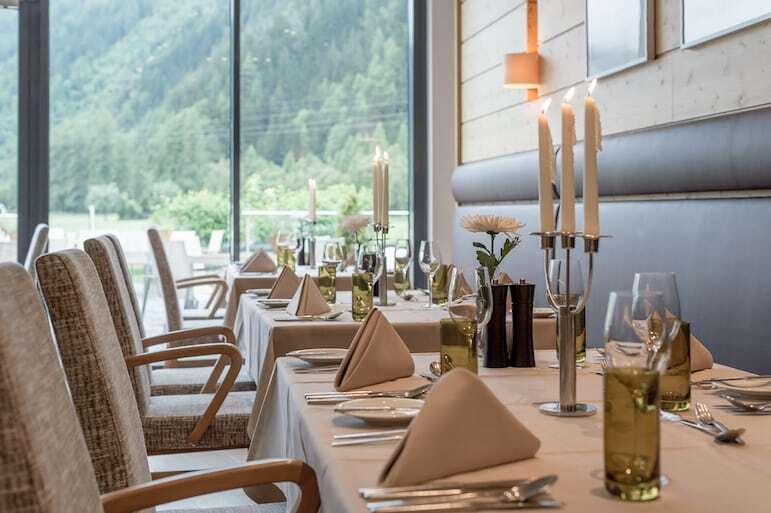 Its location in the Ötztal Valley is perfect for winter sports fans and lovers of the great outdoors in summer, with walking, biking and hiking trails. For the more adventurous there is also canyoning and river rafting. But Sarah and I take our pleasures at a more sedate pace. If food is a focus for you, the Aqua Dome Hotel’s meals ranged from good to excellent. We ate breakfast and dinner at the hotel, both offered a wide choice and the quality was good. One of the evening meals involved Tirolean specialities served buffet style, but the other night was waiter served selection of very tasty dishes. We really enjoyed our time at the Aqua Dome Hotel. The extensive spa combined with the beautiful views, peaceful location and superb facilitates, means we would return there in a heartbeat. 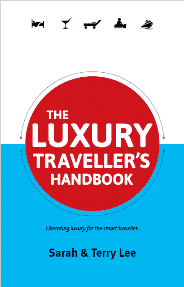 Read more about our favourite places to stay in Austria.